On your journey to a life of fitness, you may be considering supplementing your progress with fitness-enhancing snacks such as protein bars, power drink, and even whey protein powders. These fitness food focus on building muscles which allows you to achieve your fitness at a faster progress rate. With there being so many whey protein powders on the market it can be quite difficult to choose one to implement into your diet. This article provides the 5 best whey protein powders on the market and a summary of what these powders are made up of. Created by Optimum Nutrition, this whey protein powder is one of the purest forms of whey protein isolates on the market. Optimum Nutrition gives its whey priority in the mixture, which is why the first ingredient on the label is Gold Standard 100% Whey. This whey protein powder is very high in protein with each serving containing 24 grams of protein, which is about the equivalent of eating 4 eggs. Optimum Nutrition adds premium ultra-filtered whey protein in addition to their primary ingredient, whey protein isolates, to create this high protein packed mixture. Additionally, this whey protein focusing on maximizing protein and its effect, building muscles, by also being low in fat and sugar. This protein has more than 5 grams of branched natural chain amino acids leucine, isoleucine and valine in each serving. This whey protein is also low in lactose but is not completely free of lactose. The Optimum Nutrition Gold Standard 100% Whey can be easily incorporated into drinks as well as it can be easily mixed using a shaker cup or simply glass and spoon. This protein comes in numerous flavors including double rich chocolate, cookies and cream and vanilla. This protein whey powder created by Dymatize is powered packed with protein for muscle building and fitness. The Dymatize ISO-100 contains 25 grams of protein per serving. The protein in this powder is comprised of 5.5 grams of Branched- Chain Amino Acids, including 2.7 grams of Leucine. The manufacturing process of creating the ISO-100 formula includes cross-flow microfiltration, multi-step purification process. This process eliminates excess carbohydrates, fat, lactose and cholesterol while protecting essential proteins needed for muscle building. In addition to 25 grams of protein, each serving includes 120 calories, 2 grams of carbohydrates and 0.5 grams of fat which allows the protein whey to focus primarily on building muscles. This whey protein is also completely free of lactose and can be used by men who have lactose intolerance. The Dymatize ISO-100 is made up of pre-hydrolyzed protein which places emphasis on fast digestion and absorption. This whey protein comes in numerous flavors and dissolves quickly into a liquid because of its soy lecithin properties. The SBN Syntha 6 prioritizes customer satisfaction with a delicious new taste that customers can attest to. This whey protein offers customers in 10 different flavors, allowing customers to choose their favorite flavors. This whey protein powder packs 22 grams of protein per serving. The protein is serving consists of 10 essential amino acids which focus on building muscle and nutritional health. A serving of BSN Syntha 6 also includes 2 grams of sugar, 5 grams of dietary fiber and 200 calories. The ingredients in BSN Syntha 6 elongates the process of digestion which makes the body feel fuller for longer periods of time and in theory sustains amino acid levels in the blood. This whey protein powder also features 2 digestive enzymes that alleviate stomach aches and being bloated that is usually caused by protein powders. The Nitro-Tech 100% Whey Gold helps users to reach their nutrition and physical goals by providing a pure form of protein. This whey protein product consists of 24 grams of protein, 5.5 grams of Branched- Chain Amino Acids and 4 grams of glutamine and precursor. The Nitro-Tech 100% Whey Gold is made with a cold filtered microfiltration process which enhances the workout recovery process and builds muscles. This powder consists of a combination of whey and fast absorbing peptides that stimulates a spike in the body’s insulin levels that triggers absorption. Additionally, the whey protein moves very quickly through the digestive tract which gets the nutrients from the whey protein powder to your muscles at a quicker speed. This whey protein powder mixes great in water or ilk and is available in multiple flavors for user preference. The BiPro Whey Protein Isolate Supplement is the simplest whey protein powder on the market. This unflavored protein powder packs 20 grams of protein, 80 calories, and just two ingredients. Each serving of the BiPro Whey Protein Isolate Supplement consists of all nine essential amino acids and 4.7 grams of the three branches chains amino acids (BCAAs) leucine, isoleucine, and valine. This whey protein powder is purified through BiPro’s ion-exchange process and is consisted of 100% natural ingredients for great quality. Additionally, the whey protein powder has 0 grams of sugar, carbohydrates, and fats, which allows the powder to focus on building muscle. The Bipro Whey Protein Isolate Supplement can be used by a wide clientele as it is both lactose-free and gluten free. The whey protein powder also comes in numerous flavors for clientele preference and can be easily mixed into smoothies, pancakes and other snacks as well. Whey protein powder can have a large effect in the achieving fitness goals and maintain a lifestyle of fitness. 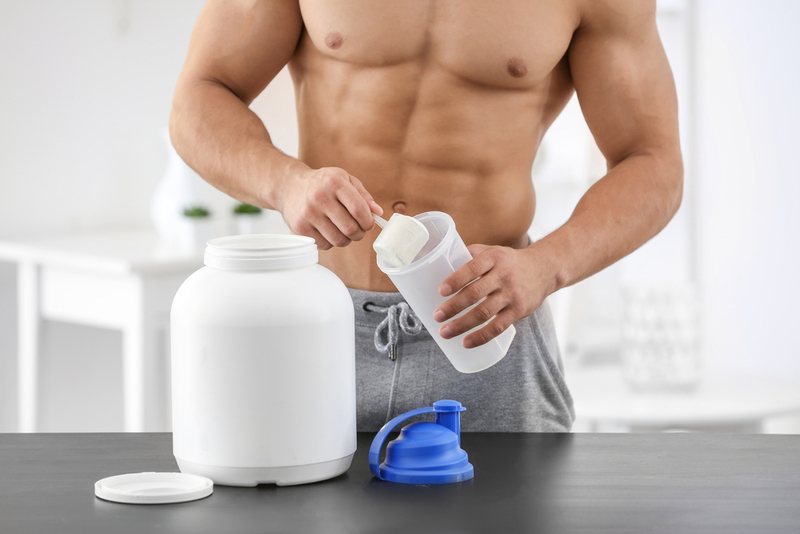 Choosing the right whey protein powder can increase your progress and can become an essential part of your diet. 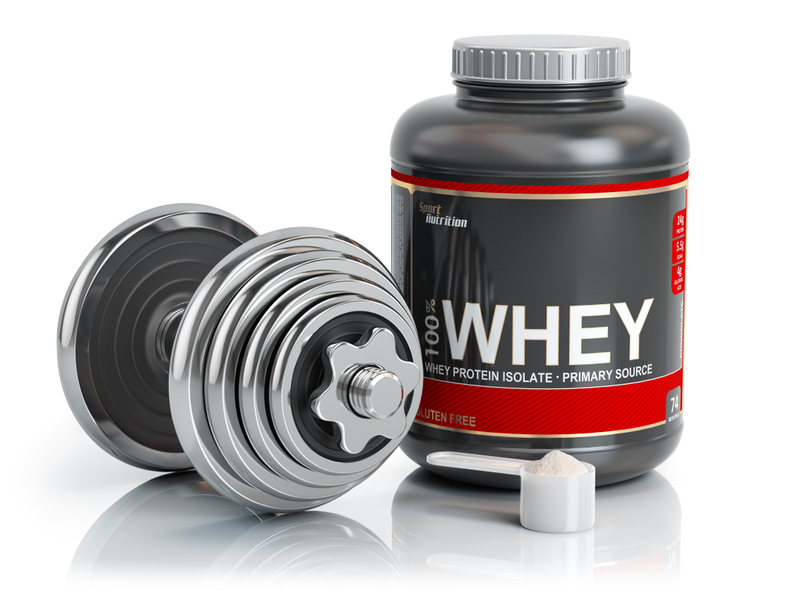 In regard to diet, it is important to use the whey protein powder in moderation so that it supplements your lifestyle. Having too much whey protein can cause digestive issues including constipation, kidney damage and most importantly cause you to develop a deficiency in certain nutrients.